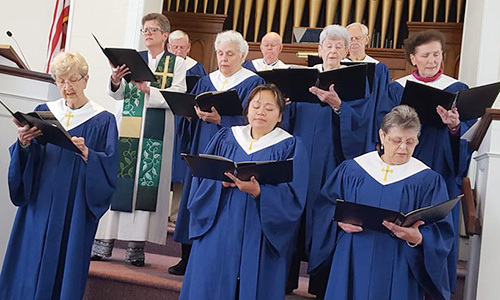 Our Chancel Choir fills the sanctuary with God’s word through music, adding to the friendly and welcoming atmosphere of our worship services. They lead hymns and present an anthem each Sunday and lead much of the music for services including as Ash Wednesday and Christmas Eve. Feel free to join us! We rehearse each Wednesday at 6:30pm from September through May. 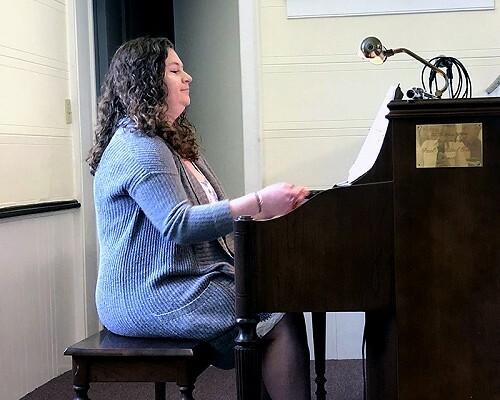 Music marks the beginning of Sunday School classes each week. The children gather and sing along to various traditional bible songs and sometimes include the use of drums and tamborines. They participate in worship services throughout the year, singing, playing instruments and even learning sign language! 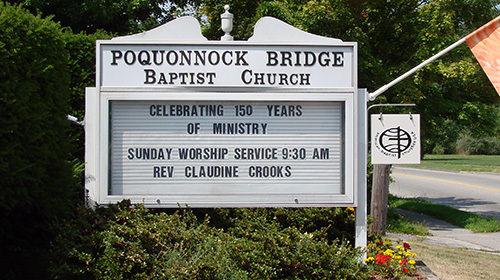 Do you have something that you would like to share with the congregation? You can sing solo, in a duet or in a group. We’ve also had people share their gifts in playing piano, guitar, violin, drums and flute, among other instruments. Please speak with Betty Land if you’re interested!